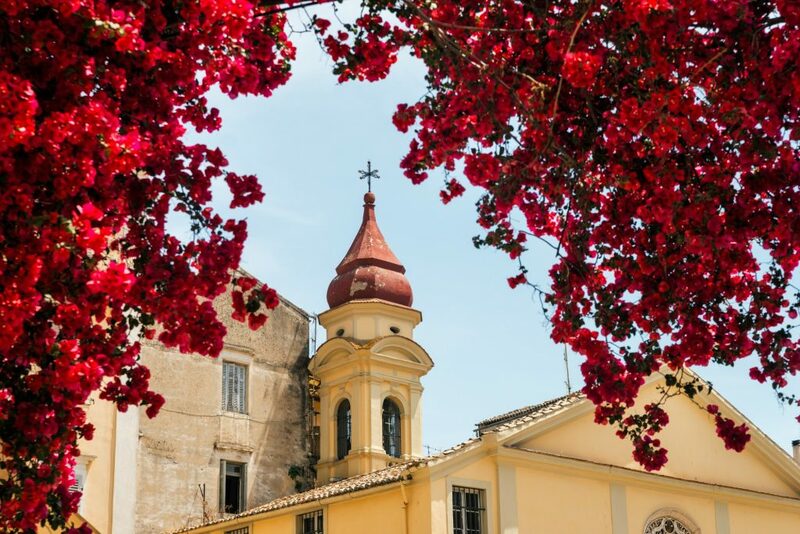 The old town of Corfu is an architectural masterpiece and in 2007 was inscribed on the UNESCO World Heritage List. In several parts of old town may be found houses of the Venetian time and British Neoclassical style of the 19th and 20th centuries. A walk through the picturesque narrow streets, into the fortresses, at the palaces, between the arches, the paved streets is enough to travel the visitors back in time. 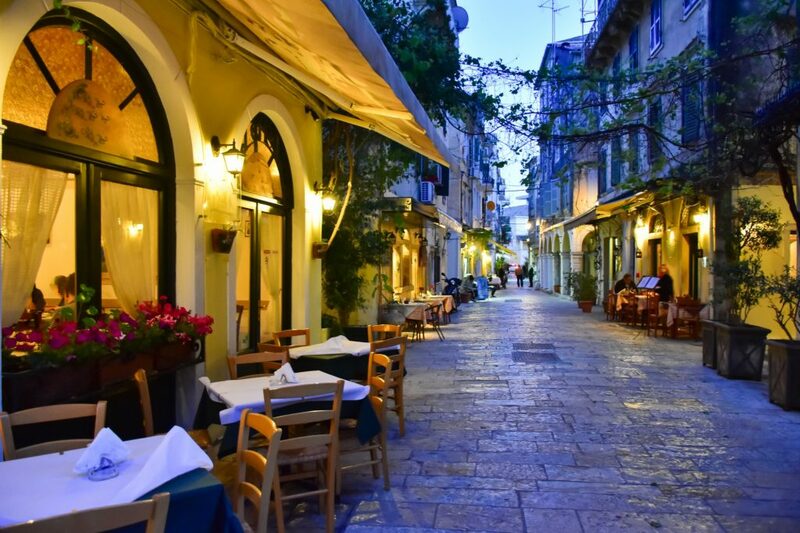 There are many proposals for restaurants in old & new town that can satisfy any visitor. You can also find two amazing beach bars in Corfu Town, where you can of course swim or relax on sunbeds, Imabari (at Faliraki) and Royal Baths (Mon Repo Beach). 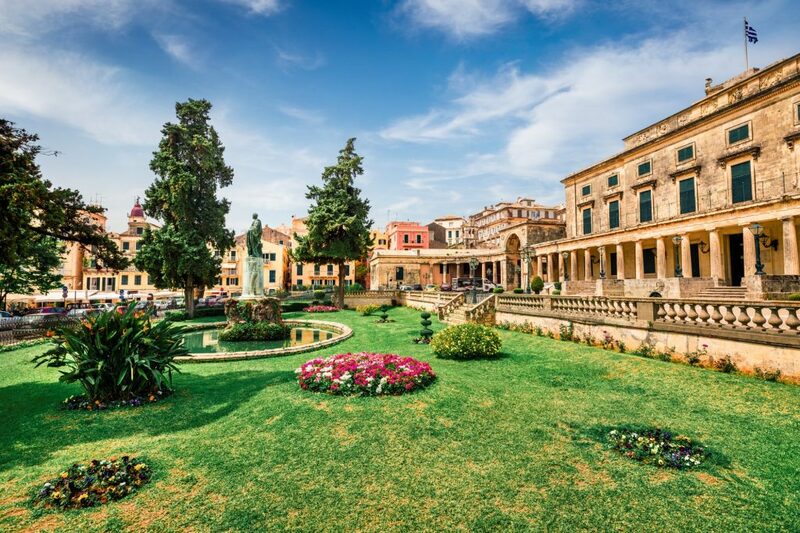 Corfu Town has plenty choices for accommodation. From Luxury hotels, to traditional apartments, and cosy apartments to newly renovated studios. 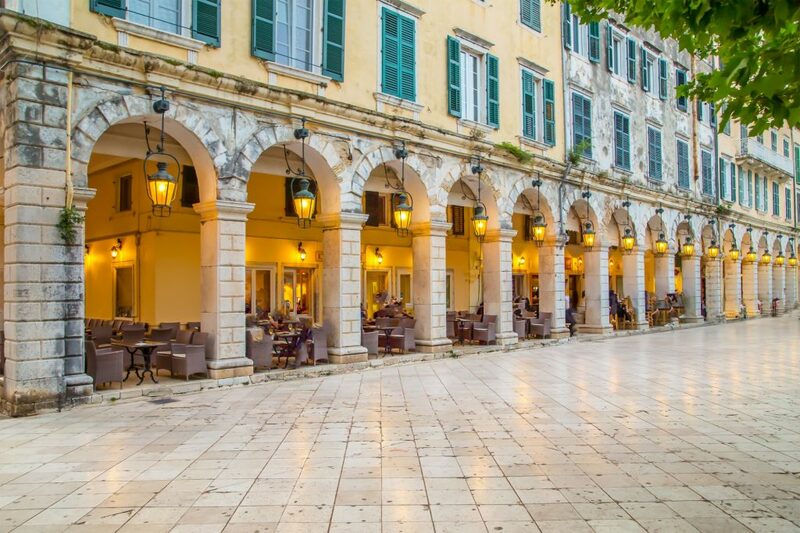 The Liston is in front of the central square of Corfu and was built between the years 1807 and 1814 by the French architect Lesseps. This is a building complex inspired by the unique architecture of Paris in the 17th century with arcades from successive arches, where designed in the pattern of arches of the Rue de Rivoli in Paris. In the old days, in this part of town only noblemen had the permission for a walk. Nowadays on the ground floor of these buildings are cafes, restaurants, bars and on the top floors are apartments. Some proposals for coffee and drinks in this area and the rest of town are Bristol Cafe Bar, Kochlias Cafe Bar, Amaze Bar, Liston Cafe, Libro D’ Oro Cafe, Akteon Cafe and Base Bar. The tree lined street of Alexandra avenue, leads on coastal road of Garitsa. 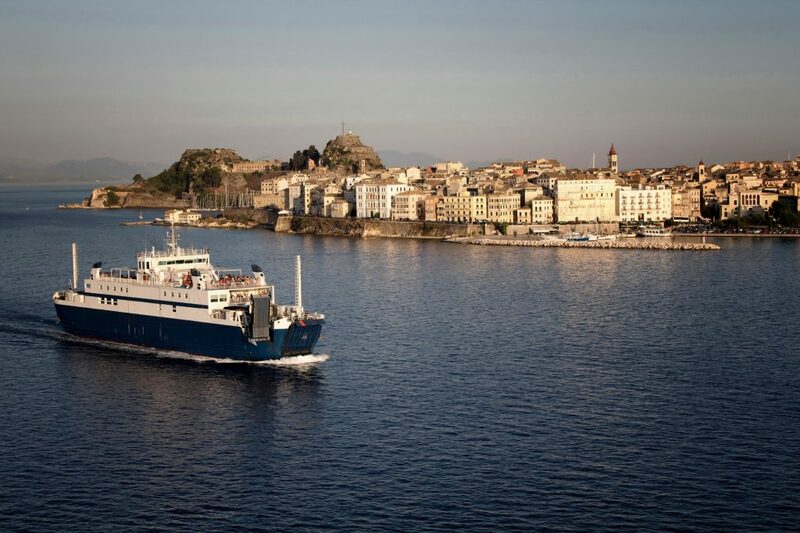 The bay of Garitsa was the port of Alcinous king of ancient Corfu. 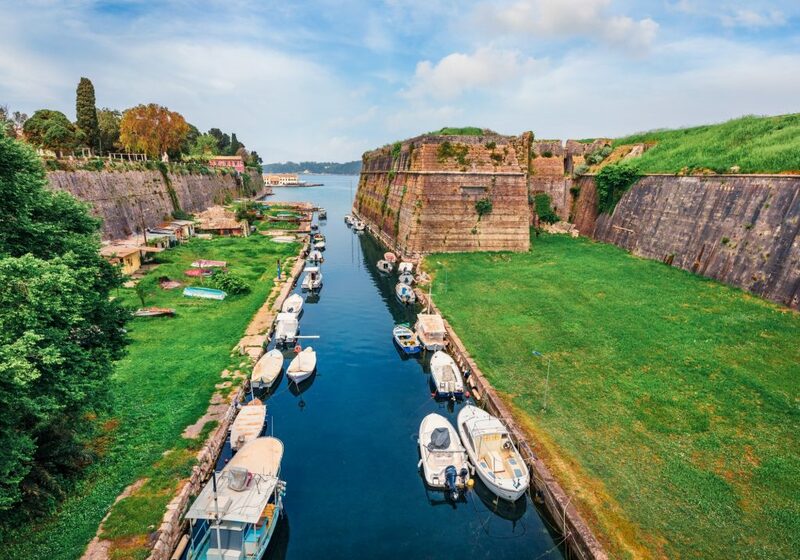 The walk along the sea with the view of the old fortress, will lead you in neighborhoods of Garitsa. The place has closely balconies that are full of flowers like bougainvilleas and jasmines. Also there are mini markets, small coffees, grill houses with tables under the trees. 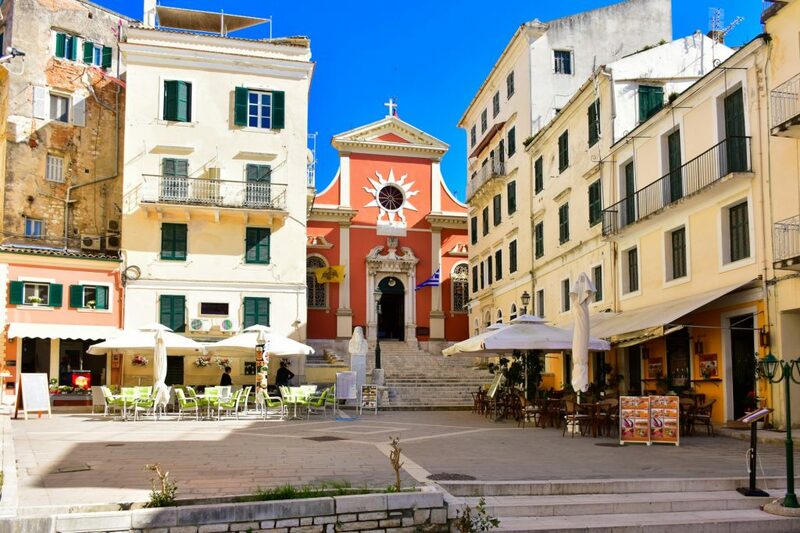 The market of Corfu flourished in 17th century, mainly from products where arrived from all Europe in the central port of Corfu. Today this market retains the old prestige because there are many tourist shops with clothes, gifts, handmade woodcraft from olive wood, jewelers and shops with local products like olives, olive oil, kumquat liquer, soaps and many others things. The narrow alleys are always full of people and during the walk you can hear voices or some music that are coming through the windows of the traditional buildings.